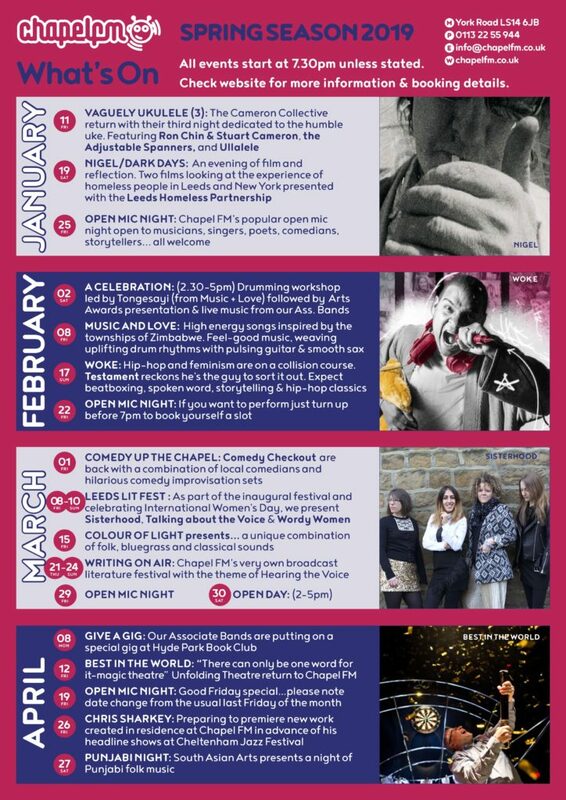 Have a look at some of the events coming up at Chapel FM. You can come and see theatre, live music, comedy, spoken word, film...all kinds of things. And you can get involved with our Programming group to put your own events on and even hire Chapel FM yourself.